It's more fun with an Open Photo Booth! 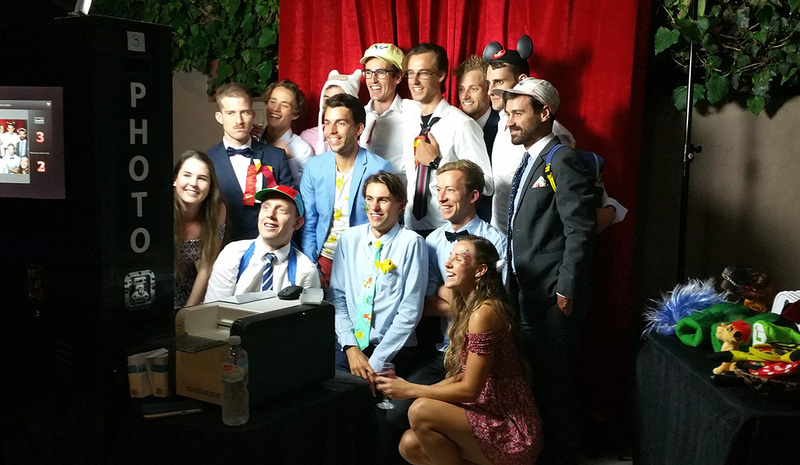 An Open Photo Booth is a great entertainment for guests at any event. It provides hours of fun across all ages. It brings out the inner child, the inner artist, the inner joker. It is the perfect setting for people to be silly, to be creative and to be fun! WINTER SALE IS NOW ON! Bookings received until 31 August 2019 (for any date in 2019/2020) gets an automatic discount of $100. Plus an additional 10% discount is applied on Mon-Thu bookings (except Public Holidays and Melbourne Cup Day). Discounts are not applied on events being held on 31 December - 01 January. We have been providing the service since November 2011 and during this time, we have received numerous calls from clients whose service provider have canceled on them at the last minute for one reason or another. Some we were able to assist but often, we were already fully booked ourselves. If we encounter any issues at all, we will move heaven and earth to honour our commitment to you. That commitment starts from the time that we accept your booking and you have paid your deposit. If for whatever reason we are unable to fulfill that commitment (except of course if the reason is due to the occurrence of any event beyond our reasonable control including a labour disturbance, power outage or interruption of service, communication outage, fire, threatened or actual act or terrorism, natural disaster or war) we undertake to refund you double the deposit payment that you have already paid. With both the Open Photo Booth Service and the Enclosed Photo Booth Service, you can select the backdrop that best complement your event from over 20 different types that we have in our backdrop collection.